I like the banner photo too. Cute!!! The little one looks like he is just hanging on. My youngest was always in the middle of things even when she did not know what was happening because someone plunked her down. Beautiful pictures. My they look similar. 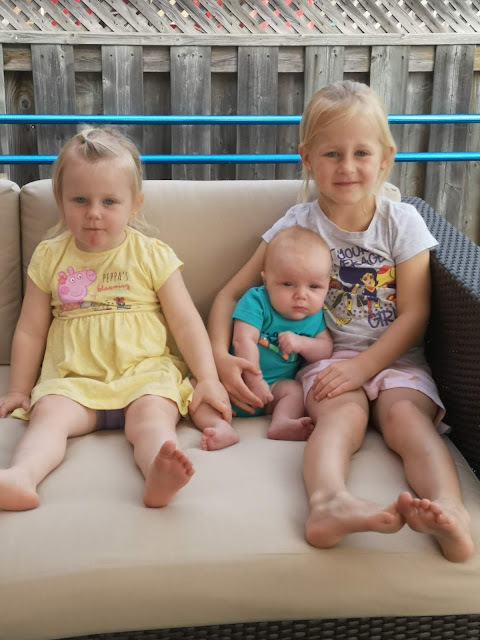 You have three lovely grand children, they are growing up so fast. What better way to spend a day than with your adorable grandchildren!